California’s next governor could be forced to make a life-or-death decision that the state’s top executive hasn’t faced in over a decade; whether to spare an inmate facing execution. There are nearly 750 people on death row at San Quentin State Prison, more than any other state, and decisions made by the next governor will help set the pace of executions going forward. Five of the top six top candidates oppose the death penalty. But few say they’d use the office’s commutation power to broadly move inmates from death row to life in prison. California hasn’t executed an inmate since Clarence Ray Allen on Jan. 17, 2006. And more than half of the inmates on California death row have waited more than 20 years since their convictions, according to state data. In 2016, Golden State voters narrowly approved a ballot initiative to speed up the death penalty, Proposition 66, and several legal barriers to execution have fallen since then. 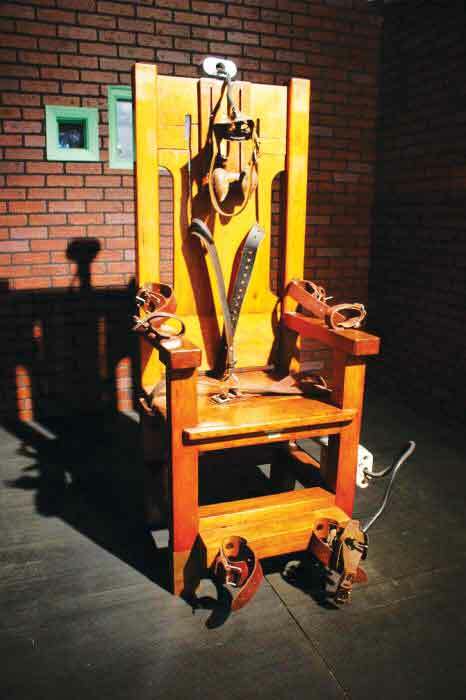 It’s too soon to say for sure when – or whether – executions will restart. Prop 66 was upheld by the state Supreme Court last year, and the state correction department put forward a new single–drug execution procedure in January. In March, a state judge in Marin County lifted one of several injunctions against carrying out executions. More than a third of millennial say that if a man compliments a woman’s looks it is harassment, according to a recent survey by The Economist/YouGov reports The New York Times 1-17-18. Still, other legal barriers remain, including a long standing federal court case in San Francisco questioning the legality of lethal injections. The judge handling the case, Richard Seeborg, has issued stays on the execution of roughly 20 California death row inmates who have exhausted the appeals. Any decision to lift those stays could be further appealed, although U.S. Supreme Court precedent makes it difficult to challenge lethal injection procedures. A California governor hasn’t commuted the sentence of a death row inmate since Ronald Reagan spared convicted murderer Calvin Thomas in 1967. But several anti-death penalty governors around the country, including Martin O’Malley in Maryland and Pat Quinn in Illinois, have issued blanket commutations removing inmates from death row in recent years. Lt. Gov. Gavin Newsom, the frontrunner in the race, said he wasn’t planning to follow in their footsteps. Instead, he wants to put the issue of the death penalty “back on the ballot” even though California’s have rejected a repeal measure twice in the last six years. Newsom thinks he could change that by running a stronger anti-capital punishment campaign. Antonio Villaraigosa, the former mayor of Los Angeles, said he would be willing to commute the death sentences of individual inmates “where the record shows that that would be appropriate.” However, “the next governor’s going to have to enforce the law, and the death penalty’s the law of the land,” Villaraigosa stressed. State Treasurer John Chiang, a Democrat, and San Diego County businessman, John Cox, a Republican, have both cited their Catholic faith for their opposition to capital punishment. But both said they would respect the pro-death penalty decision in the last ballot initiative. “I am personally opposed to the death penalty and voted for Proposition 62, but as governor, I would enforce the will of the voters,” Chiang said. “I actually think some of them would be better served if they had to live with the consequences of what they did, rather than spending a fortune to put them to death,” she said. “Why should California allow these people the luxury of life when they have taken it so cruelly from so many others?” he asked. Unlike most states, the executive clemency power is limited in California – the state constitution says governors can’t commute the sentence of an inmate who has two felony convictions unless four of the seven State Supreme Court justice concur. About half of California death inmates have two or more felonies on the record, experts estimate. But the high court justices issued an order in March suggesting that they would give governors more latitude on the issue and only intervene if they believed a use a clemency would “represent an abuse of that power.” That’s a switch from past courts, which have rejected clemency grants based on justices’ determinations about the merits of individual cases.